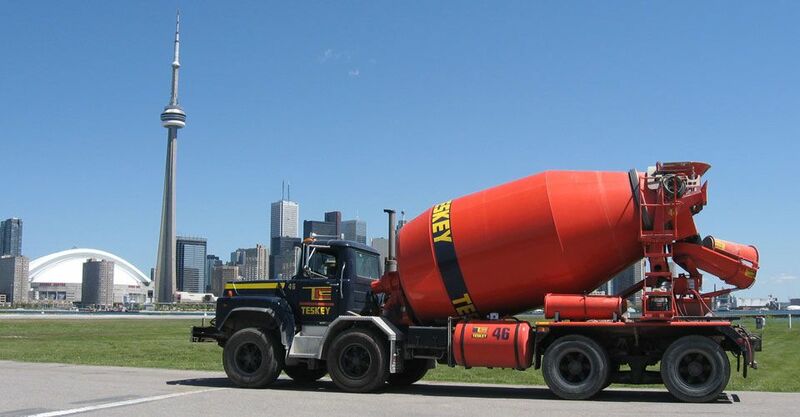 For over 68 years, TESKEY Concrete Co. Corp has produced high-quality concrete and related products. Based in Downsview, Ontario, we create a huge range of products for the construction industry, making mixes for a huge range of applications. Some of our mixes include floor mixes, industrial floor mixes, strength mixes, CSA specification mixes, grout mixes and much more. We also carry a large number of related products such as fill and pumpable fill mixes, low-shrinkage mixes, as well as special aggregates, retarding admixtures, and shortcrete. We can even provide customized concrete mixes. Just give us a call to speak to one of our design professionals who can assist you with your speciality concrete mix requirements. We also stock products from trusted manufacturers such as LafargeHolcim. Developed by LafargeHolcim, WeatherMixTM is one of the most versatile and reliable concrete products available today. If you’re looking for information on our products check out our customer resources and technical data pages. You can find concrete pricing information here, but feel free to call if you’d like to get a quote or need to make an order. Find out about our product range. Have a look at some useful technical data on our products.